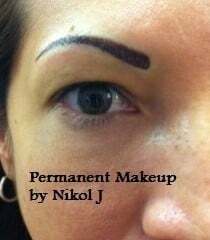 I was excited to have Justine in the studio yesterday for her brow stroke micro pigmentation (natural permanent makeup) this is an advanced technique that I preform in my aesthetic studio. I had a consultation with Justine prior to her procedure to understand what her concerns were with her brows, you can see her before and after pictures below so you can see what she was working with prior to receiving natural permanent makeup. Justine explained that she went to a nail salon and the technician waxed off her brows with extremely hot wax, not only was she missing her brow hair she was also burned in the process. Her brows never grew back. The process of drawing on her brows everyday was extremely time consuming for Justine and stressful trying to get just the right arch, length and thickness. Living in Florida most of my clients are out at the beach, laying by the pool or being active outside in the beautiful weather. When you have to paint your brows on each time or worry that when you get out of the pool you might not have brows, it’s extremely depressing and creates anxiety. I created a natural brow for Justine using a #1 needle and three custom colors to give her brows definition yet still looking natural. There are many fine hair strokes throughout Justine’s micro pigmentation, you are not able to see all the detailed hair strokes from the pictures posted. These pictures are immediately after her procedure. 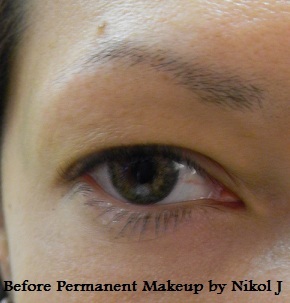 Justine’s brow color will lighten up and the white around the brows from the topical anesthesia will dissipate.